To some, politics may seem like something off limits to children. Indeed it is if they’re never truly exposed to what it’s all about. If you want to raise your kids to be educated citizens who believe voting is their civic duty, it’s important to allow them the space and resources to understand what’s going on during an election. They should have enough information about the candidates and issues to form their own opinion on who should be president and why. However, only you can truly determine how involved your children should be in politics. Children are naturally curious and may have a lot of questions when it comes to the elections. Typically, their limited information comes from friends at school, teachers, family members and sometimes the media as well. They may have heard something they don’t understand and would like explained to them. Or, they might simply want to know what you think about an issue or candidate based on what they’ve heard others say. Listen to their comments and concerns without judgement and guide them away from negativity and mudslinging. Instead, encourage them to do their own research and come to their own conclusions based on what they believe in. No matter what their age, there is already some issue that your child believes strongly in. Whether it’s animal rights, equal rights, or the environment, chances are they have an opinion on the subject. Even children as young as two or three years old can understand right from wrong and make a conscious decision. 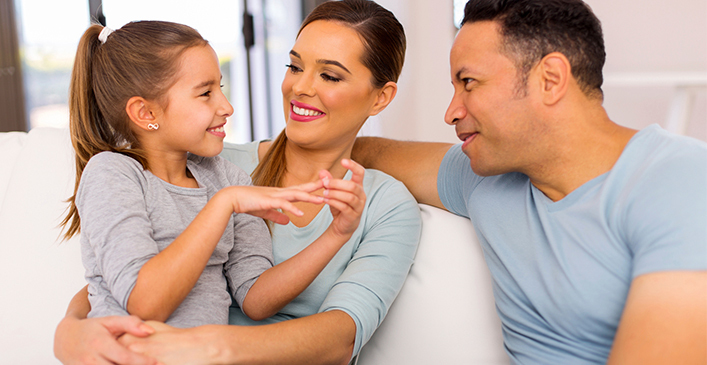 Based on discussions with your child about the issues in the election that interest them, introduce them, via age-appropriate avenues, to more information about the subject. Organizations such as PETA and the Sierra Club have a number of resources available online, or via local events, for kids interested in the issues important to their organizations. Along with issues in the election, children should get to know the candidates and their political parties. Find out what they already know and gently steer them away from any misconceptions or rumors they may have heard. Present both candidates to them fairly by briefly explaining what each person stands for, including any issues your child can understand and relate to. Letting children choose a candidate to root for is important to their understanding of voting and the election. For assistance in helping them make an informed decision, Time Magazine has a great kids’ website dedicated to this year’s election, with bios of the candidates and a kid’s perspective on all the political happenings. Depending on their level of interest in the elections, your kids may express an interest in watching the political debates. Letting them is at your own discretion, but it may not be the best idea. This election in particular has been full of controversial and very adult subjects that children don’t necessarily need to know details about. Both candidates may say or do things in the heat of the moment that could set a bad example. Watching a debate with other adult family members may not be a good idea either. When tensions run high, language may slip out that’s not appropriate for little ears. If you decide to watch one of the presidential debates with your child, do so with a disclaimer of sorts. Explain to them that both parties want to win very badly and so therefore may say and do mean things to get their way, but that it doesn’t excuse their behavior. You can always turn it off if they become uninterested or things start to go south. If you do one thing to involve your child in politics this year, take them along to your polling place. Let them wait in line with you and other voters, check in, and see actual voting take place. Taking them into the voting booth with you can be a fun experience for them since it’s a secret to everyone else who you’re actually voting for. If you’ve involved them all along in the election, having them fill out the ballot is a great way for them to truly understand from start to finish how the average person chooses the president and other elected officials. Perhaps it will instill in them the importance of voting, a right not all people of the world have access to.